Welcome to the Cobblestone Hotel & Suites in Waynesboro, Pennsylvania. Our beautiful two story hotel is conveniently located near everything that Waynesboro, Pennsylvania has to offer. Our hotel provides easy access for traveling to and from Highways 997, 316, and 16. 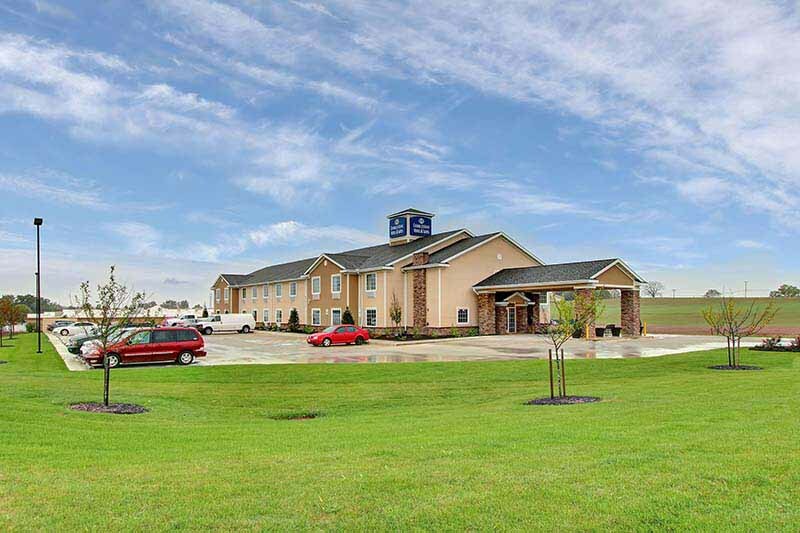 Located east of Interstate 81, our hotel is within 15 miles of Hagerstown, Pennsylvania. In town for business? The Cobblestone Hotel & Suites in Waynesboro, Pennsylvania offers easy access to Waynesboro Frick, Johnson Controls, AAIM Controls, Beck Mfg., Conserco, Grove Worldwide, Pressure-Tech, Waynesboro Hospital, and more! In town for some fun? Check out Appalachian Trail, Waynesboro Mall, Gettysburg Battlefield, Ski Liberty, Red Run Park, Cosmic Skate Rink, Sunshine Lanes Bowling, Antique Shopping, Waynesboro Movie Theatre, Frank’s Pizza, Gino’s NY Pizza, Waynesburger, Celebrity Deli, Applebee’s, Monterey Pass, Rolling Mills, Red Run Grill, Café Del Sole, China Maple, Keystone Family Restaurant, and many more.